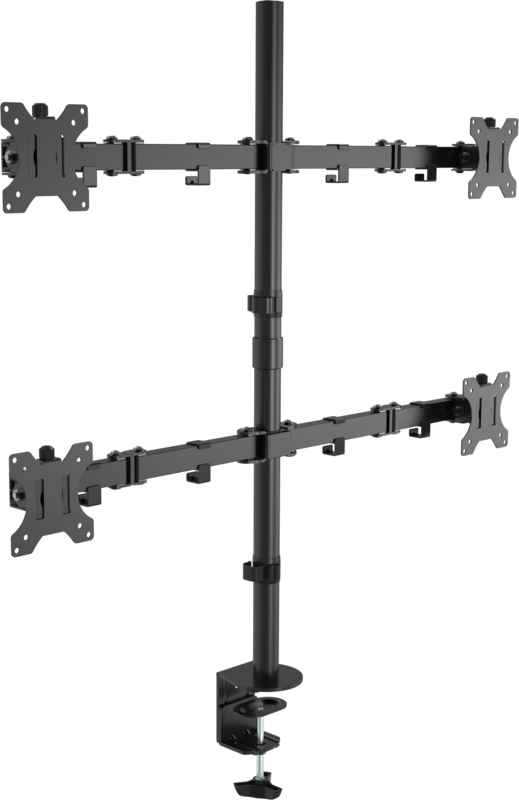 The VFM-DPQ2 (Vision Flat-panel Mount – Desk Post Quad) offers a massive range of movement and fits any monitors which have 75 x 75 mm or 100 x 100 mm rear mounting holes. Vision have obsessed over the detail to make it as quick and easy to install. 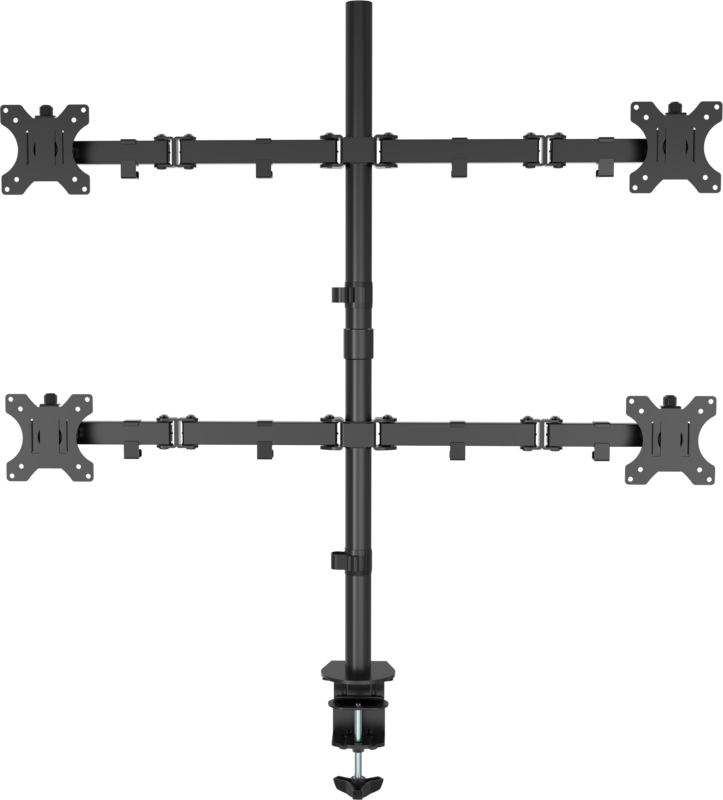 The VFM-DPQ can support four monitors up to 8 kg (17.6 lbs) each. Slide the arm up and down the post, then lock off at required height. The post is 880 mm (34.8″) tall. For some applications you need to drill a hole in the table and fix the mount directly.